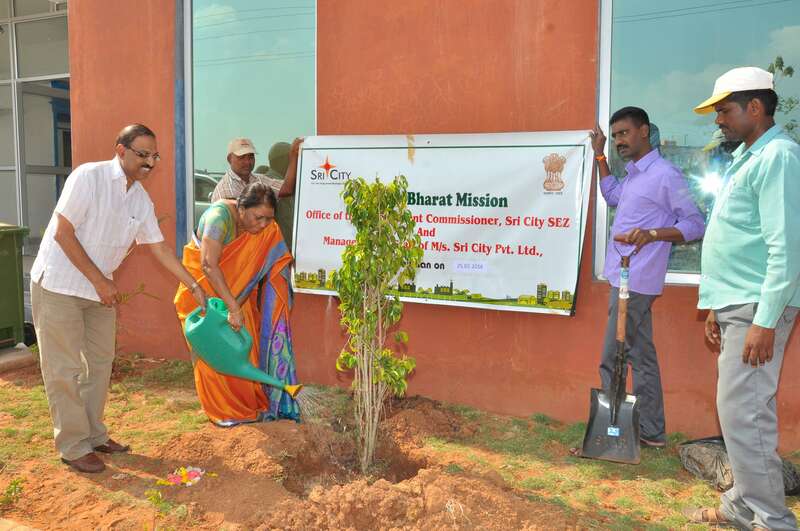 Sri City, February 25, 2016:- The officers and staff of the Development Commissioner’s office of Sri City took up the drive of cleaning the area and planting trees in the the new premises, on Thursday, as a part of Swachh Bharat Abhiyaan, an ongoing activity in Sri City under the ‘clean & green’ campaign. 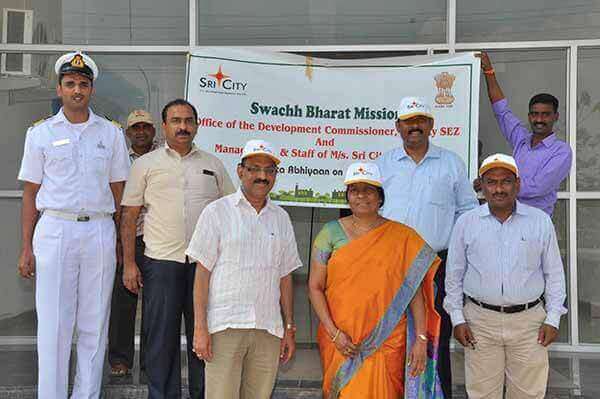 Mrs. Sobhana Rao, Zonal Development Commissioner, VSEZ and Mr. Anil K. Choudhary, Development Commissioner (DC), Sri City were the chief guests of the event. Speaking on the occasion, Mr. Choudhary said such programmes bring environmental awareness in the public and take them on the path of cleaning & greening the environment through tree planting. Mr. Prasanna, Assistant Development Commissioner, VSEZ, senior officials of DC’s office Mr. Rajababu, Mr. K.V. Ramana, Mr. K. Ajay Kumar and staff tookmpartbin the event.